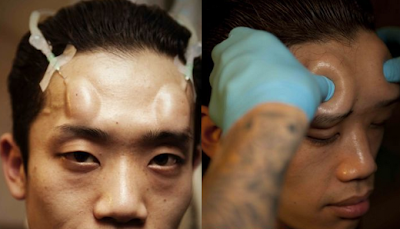 Last week the Internet was all abuzz about “Bagel Heads,” this supposedly “new” body modification trend in Japan where people inject saline under their skin so their heads look like they’re exploding with delicious breakfast bread product for about 24 hours, just add schmear. ‘Bagel Head’ Saline Forehead Injections: Japan’s Hot New Beauty Trend?, the Huffington Post wondered. 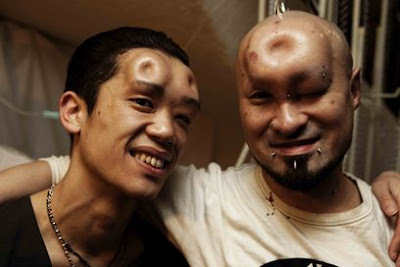 ‘Bagel Heads’: Shocking New Trend in Japan, Yahoo! News warned. And the Herald Sun got a little punny with their reporting, titling their story on the fad, Bagel heads: A hole new trend.